In collaboration with the Global Biodiversity Information Facility (GBIF), the South Africa National Biodiversity Institute (SANBI), the International Union for the Conservation of Nature (IUCN) and the JRS Biodiversity Foundation, the Connect project developed and delivered a ‘Data for Decisions’ workshop in Cape Town, 9-13 April. The workshop was framed by the Connect Demand, Supply and Sustain theory of change, exposing ~60 participants from 27 African countries to the Connect project approach. Two members of the global project management unit and the three country project managers joined the workshop. Together, we led training sessions, shared our experiences and learnt a great deal about niche modelling and red-listing. The workshop opened with sessions to explore opportunities for influencing decisions, and understanding what stakeholders are involved in decision-making. This set the context for developing technical skills to transform data into information, and to use that information to conduct red list assessments. We finished the workshop with training on how to communicate with various audiences. Everyone did an excellent job in developing and delivering a role playing elevator pitch to sell their idea for an information product. 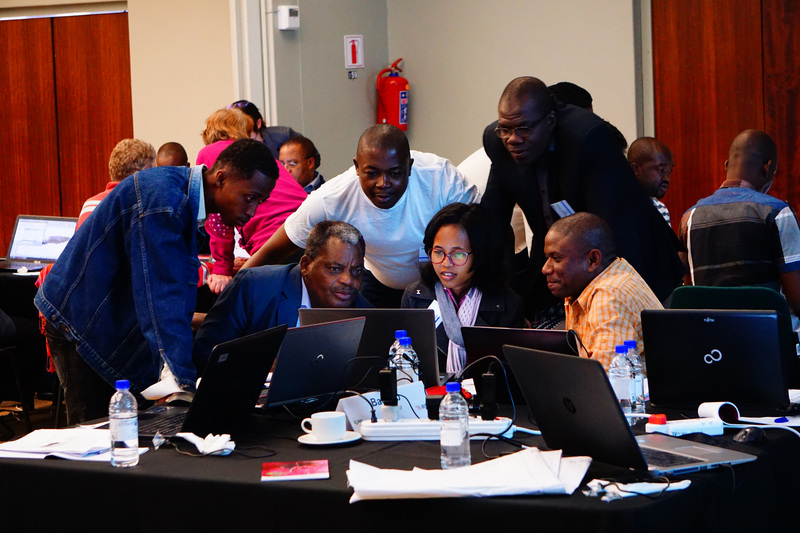 The workshop was closed by SANBI, who inspired all of the participants by describing how they have used their national data and information to ensure that biodiversity is well integrated into a wide variety of decision-making processes. The energy in the room remained really high throughout the whole week, and the Connect team are already in discussion with GBIF to roll out similar workshops in other regions, so that the Connect approach can be further promoted across the world. The event arose from the GBIF Biodiversity Information for Development, or BID, programme (https://www.gbif.org/bid). The BID programme is funded by the European Union. Photos by Maheva Bagard Laursen, GBIF Secretariat, from Flickr.